I honor you officer Liu and pay my respects to the family of a man standing forth from his community prepared to make a difference. 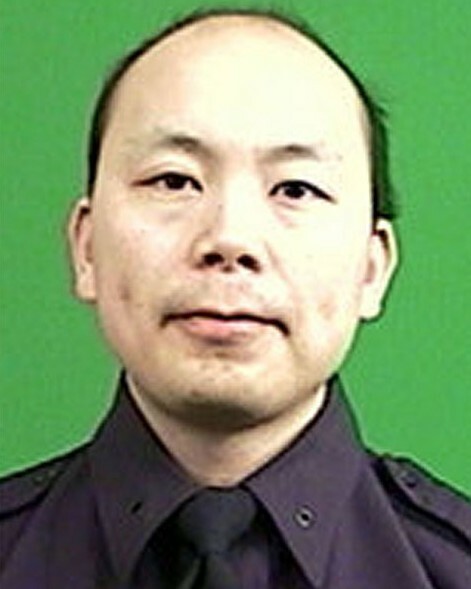 Prayers and thoughts for the family of Officer Liu. Deputy Donald K. Bond, Jr. Thank you for your service. Your sacrifice will never be forgotten. Deputy U.S. Marshal Jimmy H.
My Prayers are with You, your Family and all of the NYPD. I am so sorry for this tragic loss. May the Lord God comfort the hearts of his family, friends and family in blue. Thank you Officer Wenjian Liu for your selfless and dedicated service to your fellow man. Words can't express this tragedy. My heart goes out to this Officer's family and his brothers and sisters of the NYPD. Rest in Peace, Brother. THANK YOU FOR YOUR SERVICE! What a beautiful time to be with Jesus- Celebrating his birthday!! God's peace and speed Officer Liu. Thank you for your brave, dedicated service. RIP Brother. R.I.P. brothers...know that while you are now in the hands of the almighty creator, your killer is burning in the flames of eternal hell. Thoughts and prayers to you and your partner's family and friends as you begin your new tour of duty with the grace of God as he guides you both as you watch over those of us still here serving the people from behind our shields and stars. God Bless you both brothers. Former Deputy Sheriff RCSO Al. Rest in peace NYPD Heroes. Senseless acts of violence should not be tolerated whether civilian or officer. God Bless or Officers....God Bless our Civilians....God Bless America. Toutes mes condoléances aux familles et aux collègues du NYPD. Our deepest condolences to the family and colleagues. To the wife of Officer Liu, I pray the Lord surround you with his love, comfort and grave, remember Ecclesiastes 3: 1-8. I pray that the Lord reduce your pain in immeasurable ways. God bless you and don’t give up.